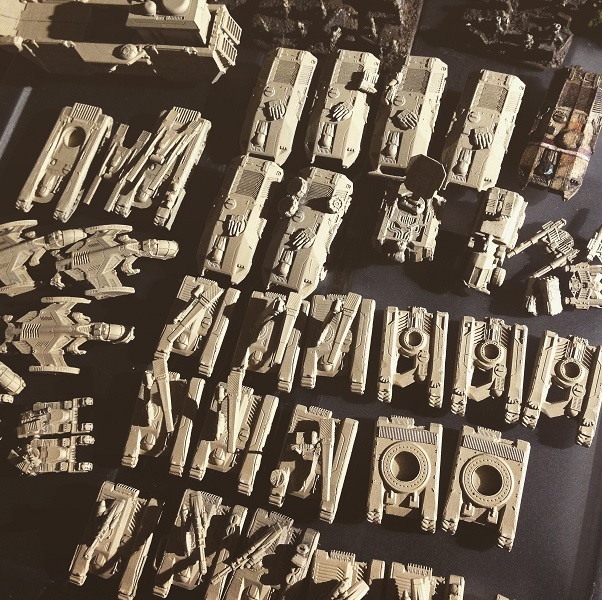 My UCM are sitting unpainted. Just glued the flock/sand. 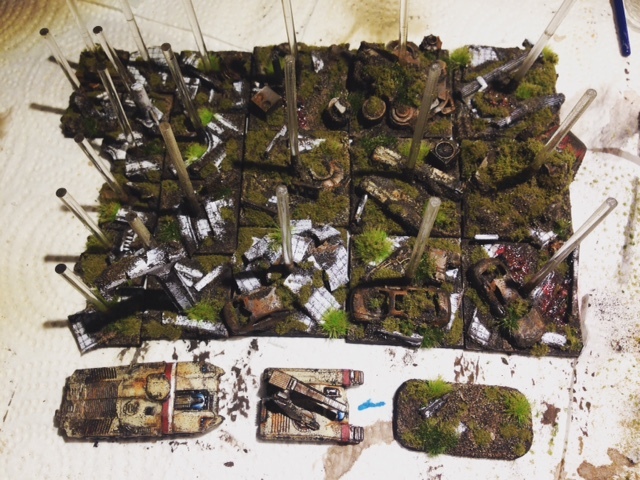 Test model below. Tonight I will prime and base-coat the entire list below and I'll post a picture tonight after I juggle some trains to get home tonight. I'm not a fan of the Phoneix / air bus list. 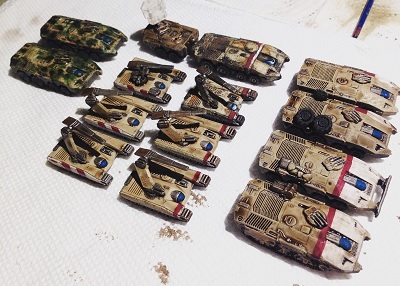 Another UCM player runs it I know of - and I'd like to start trying the armored company/combined arms type of lists. Cool list. I have a good friend (DarkNite here) who likes to run a Kodiak with a Ferrum. The Drones acting as Scouts makes the Kodiak a deadly sniper of armor. When I was running my PHR Nemesis, he would concentrate on it and sometimes snipe it out in 2 turns of shooting. I've also had games with him where I've positioned myself expecting the Drones to attack... and they never do, they're just scouting! So the Kodiak can be very effective. I would suggest, however, in the current mission meta that you consider taking a Condor for him. 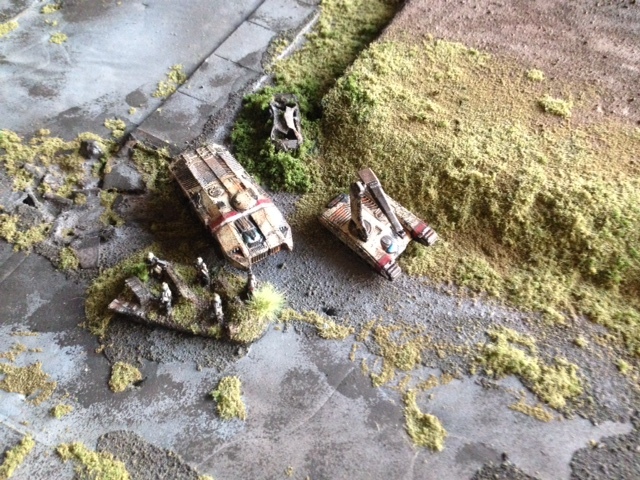 I've got a battle report written up from last Saturday's tournament when I ran my non-AirCav, no-Ferrum UCM list, but I just haven't had the chance to get it posted. Will hopefully get that done tonight, if not then over the weekend. Point being, in that list I brought an Albatross for the first time (using a PHR Poseidon as a proxy) to deliver a brick of 6 Sabres and a squad of 3 Rapiers onto a Critical Location. I haven't played Sabres in a long time, I've been using Katanas, but I loved having the Sabre brick brought on by the Albatross! I also brought a squad of Fireblades, and I recommend them highly (again, given the current meta). There are some missions where Flame weapons are just crucial to have with you, like Defense Line and Military Bunker Assault/Bunker Assault. But really, any mission can benefit from having a Flame squad, and you can often justify its cost as a substitute for bringing that 5th squad of Infantry. 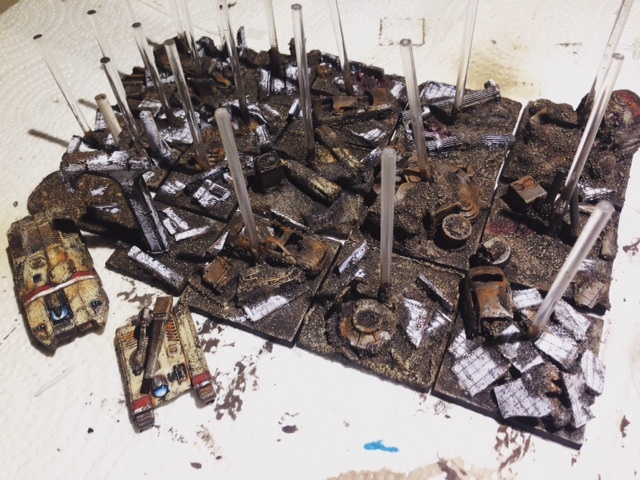 Now that the weather has cooled off and dried up here in Phoenix, I need to start painting again. 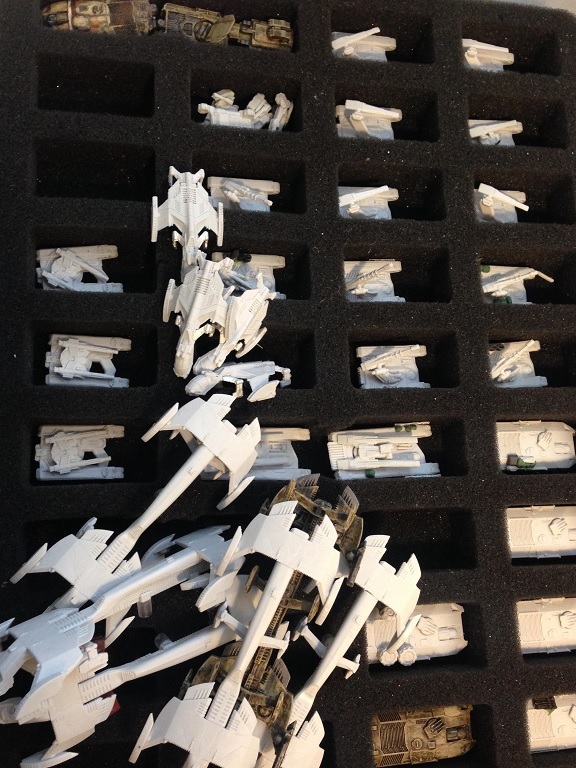 However, I just got my Dropfleet Admiral's pledge package yesterday, so I'm going to be concentrating on building at least 999 points of each faction in that for the time being, and then if I do do any painting it's likely to be the new Units in my PHR, to get ready for the LVO in February. Looking forward to seeing more of you UCM! Last edited by stevefamine on Mon Oct 24, 2016 8:04 pm, edited 1 time in total. Looking great so far! Would love a set by step tutorial if you have time. 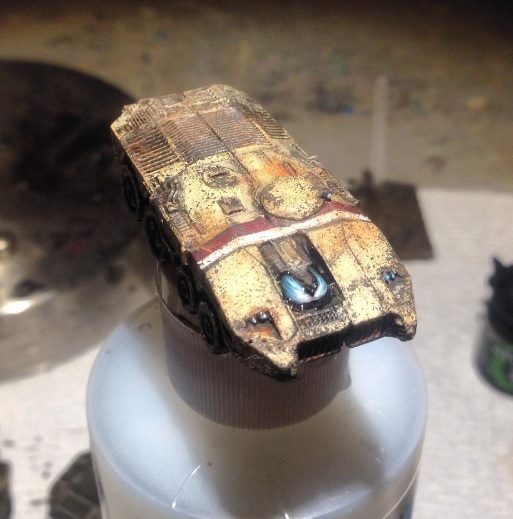 Never seen weathering that good at 10mm. 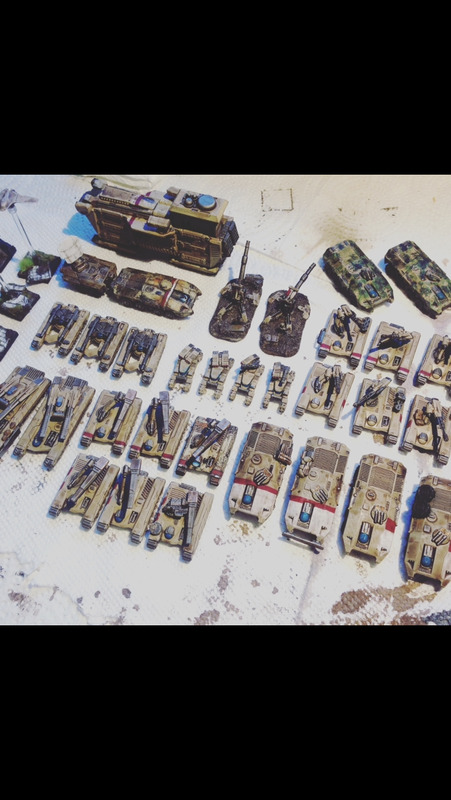 I'll make a step by step tutorial when I paint the other tanks.